For our Pre-Christmas Celebration, we like to go to "Celebration", Florida. 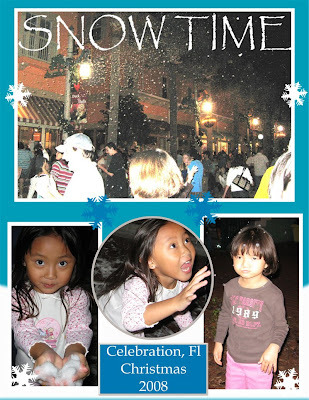 Since it never snows in Florida, Celebration does a great job of creating a Florida-style Winter Wonderland. They shut down Market St and have snow (aka soap bubbles!) blowing in every hour. 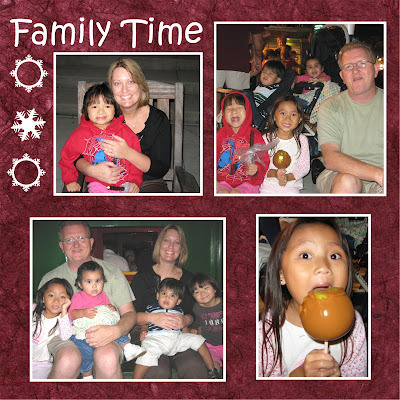 We love to sit outside at the pizza parlor while the kids go back and forth playing in the snow. The girls were so excited to be going back this year. The funny thing is, is as soon as Autumn hits Market St with the snow, she decides she doesn't like it. But she is excited before and after. We love to walk around, get a snack & coffee or cocoa afterwards and ride the sweet little train they have pulled by a golf cart. 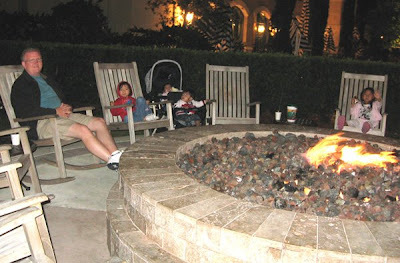 Afterwards this year, we went back to the hotel and sat around the fire pit. 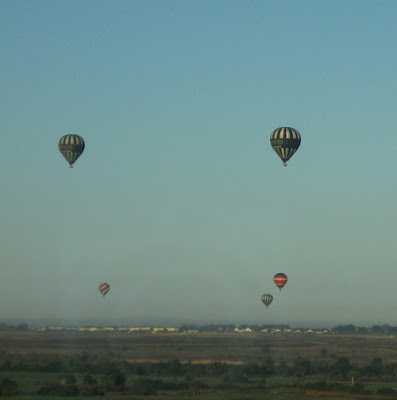 The next morning we woke up to these beautiful hot air balloons out our window.